Every year for one of my friend's birthday we go to the Renaissance fair. 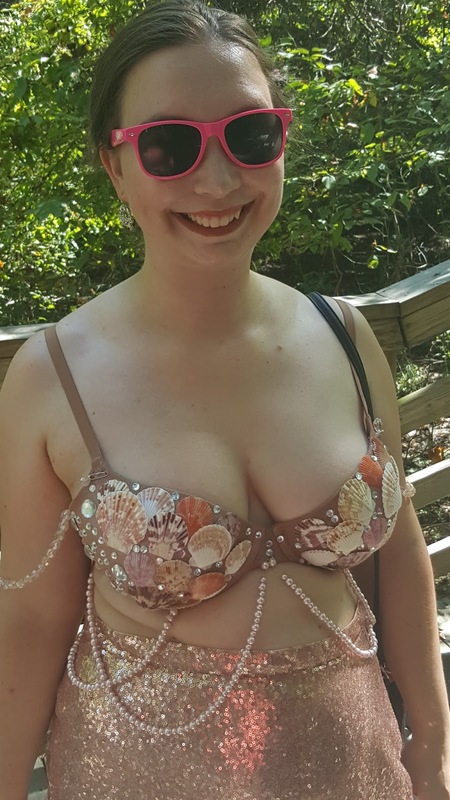 I always like to put together a different costume for each trip. This year a lot of our group were mermaids. 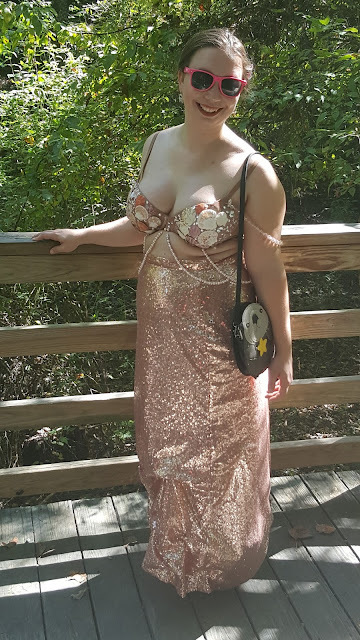 I wanted to do a rose gold/ pink look.I got this skirt from Amazon, make sure you check the size chart and it can be made to your measurements. I wanted to do something temporary to the hem because I wasn't sure if I want it hemmed for flats or heels. I used safety pins to do a temporary pick-up in the skirt. It made it shorter and added a little volume to the bottom to look more like a tail. 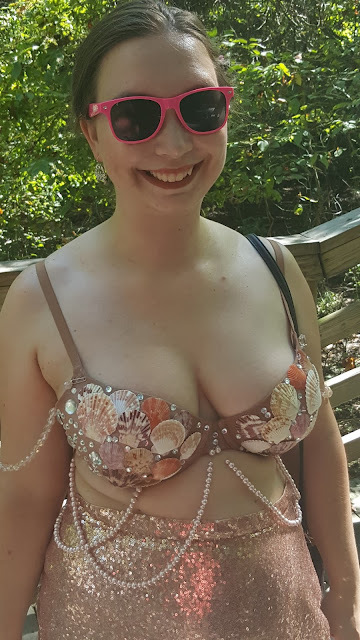 Some girls wore a bathing suit top, I went with a bra because I wanted to add shells and rhinestones and I wanted support for all day. So I got a $7 bra from Target and embellished it. It held up pretty well. The only issue was the bead straps the glue doesn't like to move around so I had to keep those attached with safety pins. 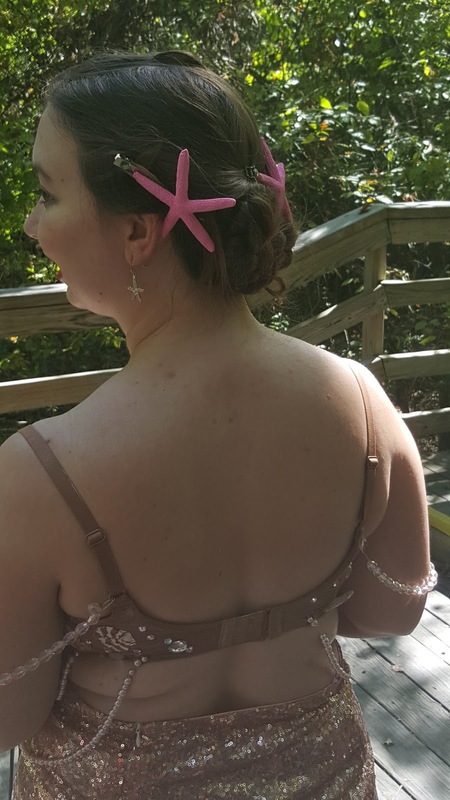 Skirt- Amazon (exact), Bag- Sleepyville Critters (exact, backpack version,crab) Bra- Handmade (similar), Earrings- Mom's (similar starfish, similar crab),Hairclips- Handmade (Similar) I get commission for purchases or clicks made through links in this post. What a fantastic outfit! This is so creative!